With vast fields of lavender, olive trees and vineyards, surrounded by stunning beaches and crystal blue waters, the Croatian island of Hvar has to be one of the most beautiful places to visit in the world. Now is a particularly good time to book as the school holidays are over and many low cost airlines are offering great winter deals on flights. With special offers when booking as a family or group, or for those staying longer than a week, this recently renovated island house might be just the accommodation for you! 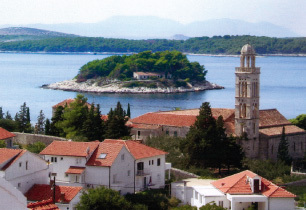 It has stunning views of the Adriatic sea, town and hills. There are five double plus one single bedroom and the property has recently been renovated to an excellent standard. With all the amenities one would expect with such a substantial holiday villa, guests also benefit from two large patios, a garden, sunbeds, outdoor tables and chairs. 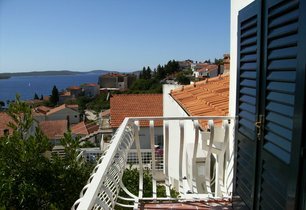 Laundry will be done each week and you can expect to be greeted by an English/Croatian couple who will give advice on what to do and where to go on Hvar island and other nearby islands and mainland in Croatia. The property sits five minutes away from the beach, and cafes, restaurants, piazza, market and boat hire is only a 10 minute walk away. It’s great for a relaxing holiday, but also ideal for those in search of more activity as within half a mile of the house there is sailing, water skiing, sea kayaking, paragliding, windsurfing, diving and tennis. 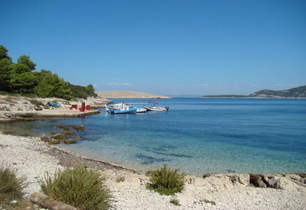 You can find this Hvar island house in the Croatia section of VillaSeek. For more information on the property and what to do there, go directly to the listing for the villa, where you can contact the owners directly. One of Europe’s premier holiday destinations, the Algarve is the most southern region of Portugal and can easily be reached by flights from various airports in the UK to Faro. The Algarve is perfectly positioned for some of the best sun in Europe and has an enormous array of sandy beaches to enjoy it on. There are different areas to suit different people: Lagos is often a draw for a young crowd after a good nightlife, Faro has a fascinating medieval quarter, and Sagres and Carrapateira are a hit with the surfers and water sports enthusiasts for an activity holiday. It is also a year-round destination for visitors, with much more chance of sunny weather even when northern parts of the country are covered in snow. Winter is short and mild, and spring and summer are long and sunny. It’s coming to the end of winter and into spring at the moment, so it’s a great time to visit for cheap accommodation in the off-peak season with it still possible to enjoy a trip to the beach. This pretty, detached villa with its own pool and colourful garden is only 10 minutes from the former fishing village of Tavira. 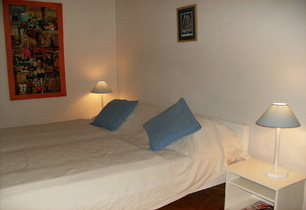 Comfortably furnished, Villa Casasol, accommodates up to six guests. It has an en suite master bedroom, 2 twin bedrooms and a separate second bathroom. A fitted kitchen with all the amenities, a large dining room/lounge with satellite TV and a wood-burning fire. You would be forgiven for not spending much time indoors however, when outside has so much to offer: a tiled patio, garden with sun beds for those lazy days soaking up the sun, a pool-side barbecue and secluded outside terrace. You don’t even have to go in at night as there is outside lighting, and even the private L-shaped swimming pool can be illuminated for an evening dip! Prices start from a very reasonable £300 for long winter holidays of three weeks or more, and from £500 for all other times. Villa Casasol is only a 5 minute walk to the beautiful Ria Formosa Lagoon (an area of great international conservation importance), Cabanas Village, and the golden sandy beach of Cabanas Island – reached by a short trip on a fisherman’s ferry boat. Greece is most definitely one of the first places you would list if you have the primary holiday requirements of sun, sea and sand. It has this in spades (excuse the pun), but so much more to boot – cuisine, culture and history, not to mention the plethora of awards it has won as a travel destination. The Sunday Times Travel Magazine voted Greece as the Best European Beach Destination 2012, followed by the Travel Agents’ Choice Awards 2012 for the Best Short Haul Destination for Weddings, Honeymoons and Couples. 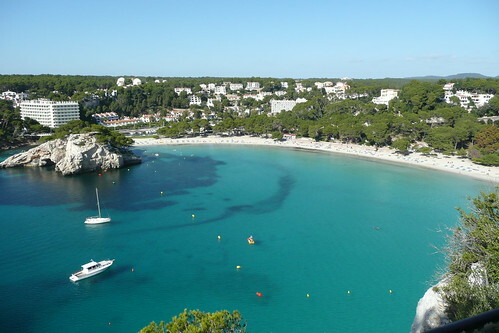 It also fares extremely well with TripAdvisor with many of its beaches in the Travellers’ Choice 2012 Beach Destinations. The birthplace of the Olympic Games, Greece is a perfect place for an activity holiday, which could include cycling, rock climbing, basketball and water sports. For the less energetic of you, it’s also a wonderful place to relax, with stunning aquamarine waters and beautiful sandy beaches with a variety of coloured sands, from black, to white, to red – all of which make for unusual and picturesque landscapes. Take the village of Lindos on the Greek island of Rhodes. Open year-round and with an exceptionally mild climate, this is a popular destination amongst tourists. It is a maze of narrow streets and small shops filled with unique jewellery, pottery, leather goods and regional crafts. The Acropolis dominates the landscape, and if you want the best view, then dine out at one of the village’s many rooftop restaurants at sunset. With a great nightlife when you want to be sociable, and also with quieter spots for relaxation, it’s a box-ticker of a place for holidays. It’s also easy to get to, with affordable flights available throughout the year. For a quiet getaway, try this luxury villa with infinity pool situated on the hillside above Kalathos village and a short trip to Lindos (6km). With 3 bedrooms (1 double, 2 twin), pool, air-conditioning, BBQ facilities and stylish interior design, you’d be forgiven for not wanting to leave! Prices start from £600. It’s so cold here in the UK! We’ve been snowed in, and we don’t really like it. So, it’s time for a holiday somewhere warm and sunny, and where could be better than Florida! 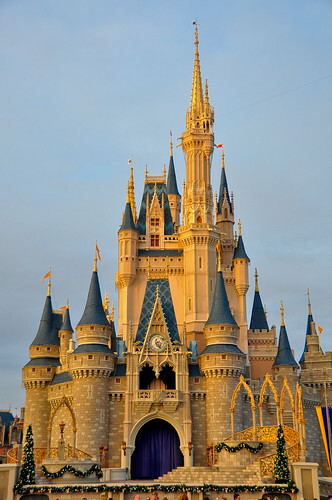 The next few months are a great time to visit the sunshine state, there are deals on flights with many of the major airlines and it’s home to the world’s most famous theme parks, Walt Disney World! A definite win if you have younger children. Also, Florida is a golfer’s paradise with many wonderful places to tee off from. This luxury four bedroom, three bathroom villa in the popular Southern Dunes Golf and Country Club has an enlarged pool deck that is not overlooked but has marvellous views over the 16th fairway. It’s within walking distance of supermarkets and restaurants, and is only 20 minutes away from Disney and all it’s attractions. The list of all its amenities is extensive, with all you’d expect for a luxury villa and family break away, such as air conditioning, flat screen TV, music system and games room, plus free high-speed internet connection and free local and international phone calls! South West facing pool, sunshine all day long! The villa accommodates eight plus an infant, and prices start from £495, a great deal for everything that’s included. For many more quality holiday villas in Florida, visit our main site. Google, together with Russian Railways have launched a virtual train journey along the famous Trans Siberian Railway which goes across two continents, 12 regions and 87 cities. You navigate the journey by clicking on the area you’d like to view and are taken along as if you are sitting on the train and gazing out of the window. The film quality is brilliant and you can accompany your journey with the realistic sound of the rumbling of wheels, or by listening to some Russian radio or Nikolai Gogol’s “Dead Souls”, or even Leo Tolstoy’s “War and Peace”. You can also click on icons on the map which will give you interesting information about areas on the journey. I imagine that this step for Google and Russian Railways will push forward the virtual world that many use already online, it will enable people looking at different places to go on holiday to get a realistic taster of the feeling of being there rather than staged shots in travel guides where a lot of the pictures can be quite similar. Some state that this could be an alternative for cash-strapped people who want to look at areas of the world they may never get to travel to, however I think that it may give those with the natural curiosity to travel even more itchy feet; it certainly did me! For whatever reason you’d like to see the Trans Siberian Railway though, this new view is worth a look. Check it out here.